Finally! After months of preparing we took the little Cherokee out of the immediate area for the first time in 10 years. This was just a small 20nm trip from KEQY to KLKR, I'm pleased to say that the plane did very well and we had no issues. 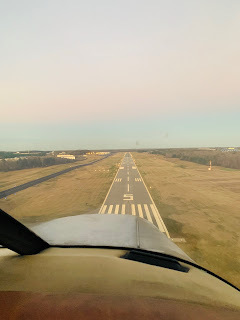 In fact on the return trip I even got to practice my ILS approach and landing. Awesome! Is that a full size iPad or a mini?